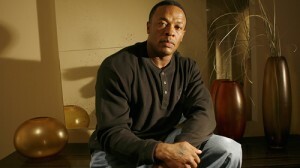 Dr. Dre and the FX Network Team Up for New Crime-Drama Series!!! The FX network has just made a deal with Dr. Dre for a one hour crime-drama series. The project will center around a present day Los Angeles in the crime and music business. Sidney Quashie will write the script. I cannot find anything Quashie has written before, so this might be a first time writer. Quashie and Dre will executive produce the series. That being said, I think FX need to work a deal into Dre’s contract to have him guest star on ‘It’s Always Sunny in Philadelphia’ and ‘The League’. Just sayin’. That could be epic. Also, I wonder if Dre will supply new original music for the series. This entry was posted on Monday, August 6th, 2012 at 3:18 pm	and is filed under Music, News, Television. You can follow any responses to this entry through the RSS 2.0 feed. You can skip to the end and leave a response. Pinging is currently not allowed. « ‘Batman: The Dark Knight Returns – Part One’ Blu-ray Announced and Detailed!! !